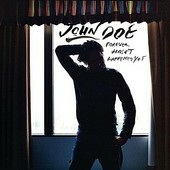 X's John Doe hasn't lost any steam since originally going solo in 1990, and keeps getting better with each solo album. His latest, Forever Hasn't Happened Yet, featuring guests Dave Alvin, Grant Lee Phillips, Neko Case, Veronica Jane, Cindy Lee Perryhill, Smokey Hormel, and Kristin Hersh, continues with Doe's last few records in including notable guests. But, the notable guests just add to the fun value for Doe. The real reason for getting Forever Hasn't Happened Yet is Doe's impeccable songwriting. Blending Americana with subtle pop, while still retaining some of his rocker past, Doe's roots roots are in full effect here, growing and blossoming track after track. Take "Heartless", for example. Opening with the line "Someone broke your heart when they dropped it on the ground," backed by a rollicking roots-rock roar, Doe reels you in with his fun, playfulness, all along delivering a serious, gripping song - both lyrically and musically. "Heartless" sounds fun, like the band is just rocking out in the studio, staying true to the Americana vibe of the song, but also not adhering to any certain style or sound at the expense of the player's losing their interest. It is in that mindset that all of Forever Hasn't Happened Yet thrives. The record doesn't sound like a legendary songwriter going through the motions, like some of Doe's contemporaries' latest do. Instead, it sounds like a man who enjoys what he's doing. It sounds as if Doe is making records for himself, writing songs because he loves it, without any expectations or demands. That is why Forever Hasn't Happened Yet just might be Doe's best record. In the past, as I'm sure he'd admit to, he has gotten caught up in trying to sell records (heck, it's his job, who could blame him?). But now he seems resigned to the fact that he's a hard worker and a great songwriter, so if the people buy it, or don't, they will. He just has to do it for himself. "Hwy. 5", featuring Neko Case, is a prime example of that. Doe seems genuinely happy playing with Case, excited that she's appearing on his song (and she seems excited to be appearing on his song, too). The outcome is a solid number that thrives because of it. Equal part blues, old school rock 'n' roll, and pop, Doe writes a roots song that puts others to shame with its unabashed rhythms and subtle hooks. "There's A Black Horse" is Doe doing blues, while "Ready" is all roots-rock. "She's Not" is soft and poignant, Doe's rich voice and acoustic guitar the focal points, while ambient guitars in the backdrop add layers to the number. And then there the lo-fi, gritty closer, "Repeat Performance", Doe's take on dusty folk. For those that haven't given Doe a chance since his first or second solo album, too disappointed it wasn't X, well, Forever Hasn't Happened Yet is definitely not X. But, it is Doe at his finest, crafting worn, yet ageless songs that hold true to their roots while also sounding fresh and modern. Here is a record of Doe's sweat, tears, and passion, a record that is as fun and moving to listen to as I bet it was for Doe to make. I'll give it an A.